A team of scientists at the University of Liverpool have discovered that dangerous strains of Salmonella are beginning to emerge in people infected with HIV in Africa. In their recently published article in Clinical Infectious Diseases journal, they have reported that, in adults with HIV who have compromised immune system,a new strain African Salmonellae can unleash severe disease by invading cells in the blood and bone marrow, where they can hide away and evolve into more dangerous, multi-drug resistant strains over time. While Salmonella normally causes diarrhoea and is rarely fatal in developed nations, in Africa, the new multi-drug resistant strains exploit immunodeficient children and adults , causing severe infections that are difficult to treat and leading to death in one in four cases. The researchers in their earlier work had demonstrated that, the strains, which were previously non-invasive, had developed genetic similarities to the Salmonella and this is significant because as well as being antibiotic resistant, their behaviour is likely to be intrinsically more invasive and aggressive than other typical strains.The fact that the cells can persist inside cells in the blood and bone marrow confirms that these strains are behaving in a new and highly invasive way, meaning that these infections are difficult to treat, and often recurring. 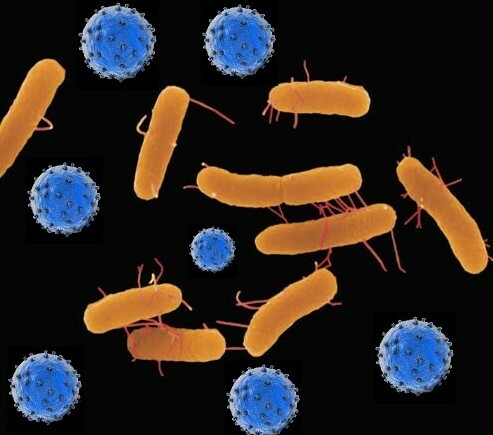 The Scientists are now studying the ways to treat these dreaded infections better without allowing further emergence of antibiotic resistance.